no it is not an event like a sit-in. Huggins was a name that appeared in Lauderdale County, Alabama around the 1840 era. There are still descendants of the Phillip Huggins line and the Mathew English (born 1772) line in the Shoals area. A family reunion was held at McFarland Park in Florence for the English and Huggins descendants some years. 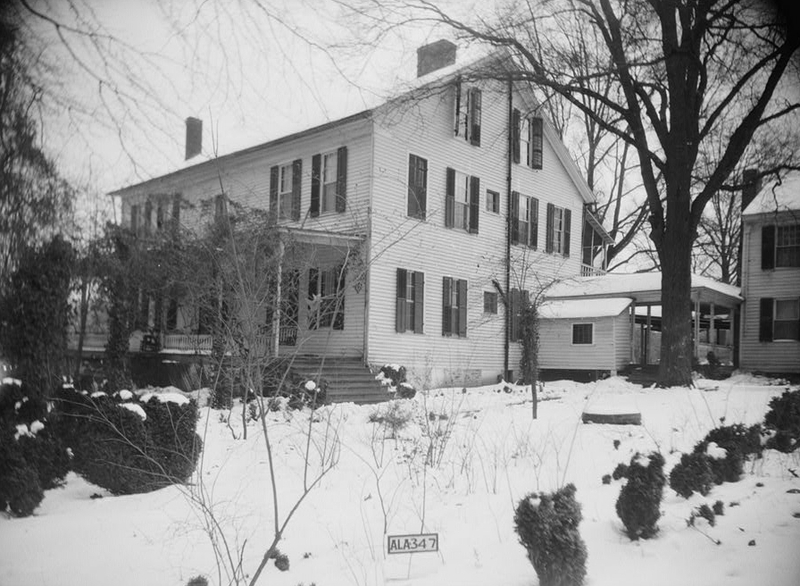 The Huggins family was a prolific family that dated back to colonial days. The progenitor of this Huggins line was John Huggins who was born in Belfast, Antrim, Ireland and died in Rowan County, North Carolina. Son, Luke Huggins, who was born 28 Nov 1723 in Belfast, Antrim, Ireland. 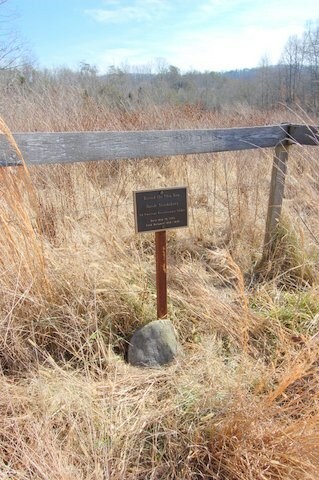 He died 6 Jul 1806 in Lincoln County, North Carolina. It is not known where he is buried, but the surname is found in two cemeteries in Lincoln County, North Carolina: Hollybrook Cemetery in Lincolnton and Mount Zion Baptist Church Cemetery in Alexis. The Huggins were some of the colonial first families of our budding nation. In Colonial Families of the United States of America: Volume 6 ISSUE BY FIRST MARRIAGE the following passage is given: William Hancock, of Onslow County, North Carolina; b. 15th October, 1773; d. 27th September, 1849; m. (firstly) Dorothy (surname not given); m. (secondly) the widow Dudley; m. (thirdly) Ruth Huggins, sister of Luke Huggins. Ruth and Luke’s parents were John Huggins 1690-1752 and Mary Carruth 1697-1796. John Huggins’ parents were James Huggins 1653 – 1728 born in Dumbarton, Dunbartonshire, Scotland and died in Anterim, Scotland; and Janet McClelland who was born and died in Scotland. It is noted that John Huggins’ parents were Crandall O Hagan born in 1620 and Shirlie ODonally. No research has been conducted on these names. John and Mary Carruth Huggins had a large family of children: James Huggins 1715 – 1789, Helen Huggins born 1716, Robert Huggins born 1718, James Huggins 1719 – 1742, Jane Huggins 1721 – 1798, Mary Huggins 1722 – 1787, Luke Huggins 1723 – 1806, John Huggins 1725 – 1811, Ann Huggins 1727 – 1789, William Huggins 1729 – 1801, James Huggins 1730 – 1793, and Mary Polly Huggins 1770 – 1832. 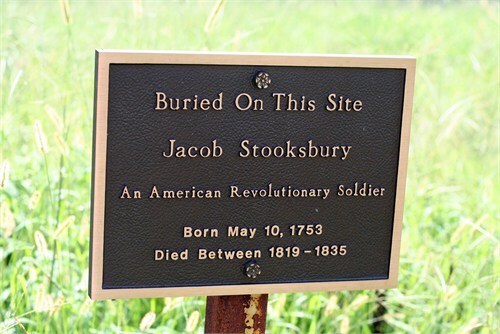 The Huggins surname appears regularly among those who fought for Independence in the American Revolution. Among the names were Daniel Huggins, James Huggins, Luke Huggins, Michael Huggins and Nehemiah Huggins. Luke Huggins, James Huggins, and Michael Huggins all entered service on 25 April 1781 in Dixon’s Company. They served for twelve months and left service on 25 April 1782. Nehemiah Huggins served in Sharp’s Company and enlisted for three years. James Huggins may have reached the rank of Captain. Luke and wife Nelly had a large family of children: Charles Huggins, Esther Huggins, Hannah Huggins, Isaac Huggins, Jacob Huggins, James Huggins, Luke Huggins, Nelly Huggins Littlejohn, Phoebe Huggins Shelfer, Sarah Huggins Standley, Temperance Huggins, Thomas Huggins, and Phillip Jasper Huggins 1765 – 1840.
in manner and form as follows. whatsoever during her natural life or widowhood. Imprimis I give unto my daughter Phebe Shelfer on shilling sterling money. Imprimis I give unto my daughter Sarah Standley one shilling sterling money. Imprimis I give unto my daughter Nelly Littleton one shilling sterling money. all the rest of my lands to him & his heirs forever. Speight and John Perry executors of this my last will and testament. whereof, I have hereunto set my hand and seal the day and year above written. Test. Lew. Bryan C. C.
There was no mention of Phillip Huggins in the will; and that can not be explained with the information known today. As with all family research, you present the best information that is available at the time of research. There are bound to be some unknowns, unexplainables, errors, and omissions; it is just the nature of the human. However, the information presented is a very sound foundation for more research. HAMM, John M., one of the pioneers of the Fourth District, and son of Thomas P. and Tabitha (Huggins) Hamm, was born in Lauderdale County, Ala., in 1822, being the third of thirteen children, two only living. The father, Thomas P., was of Scotch-Dutch ancestry, born in Kentucky in 1778. The grandfather, John HAMM, was a native of South Carolina, born about 1759 and when fourteen or fifteen years of age volunteered his services in the Revolutionary war, served under Gen. MARION; was married in his native State and afterward went to Logan County, Ky., from there to Middle Tennessee, then to Lauderdale County, Ala., finally settling in McNairy County in 1826, where he engaged in farming until his death, October, 1836. He was a magistrate for a number of years. 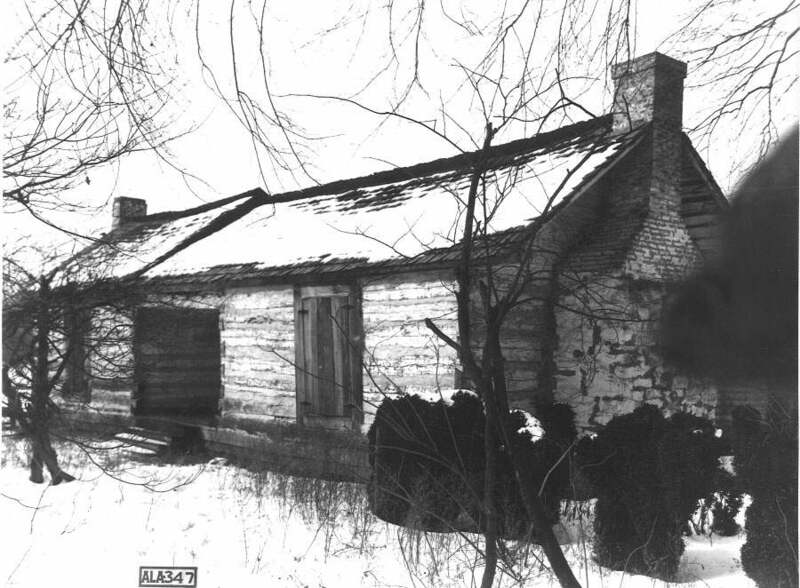 Thomas P. received a common-school education, while residing in Kentucky; married in 1818, and came to McNairy County in 1827, where, with the exception of a few years spent in Hardin County, he remained until his death in 1856. He was a farmer. The mother was born in North Carolina in 1778, and died July, 1886. Our subject, John M., was brought up on his father’s place; received such education as the common schools afforded; came to McNairy County with his family, and was married December, 1843, to Elizabeth, daughter of Robert C. and Rebecca HOUSTON. She was born in 1827. 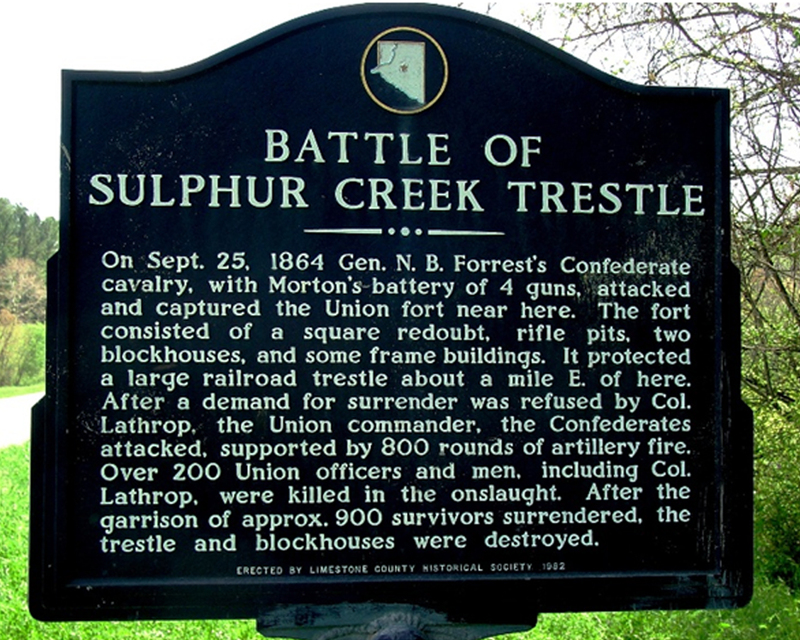 Their union was blessed with twelve children, of whom are Archibald B., James R., Rebecca, wife of Wilson A. SMITH, of Arkansas; Cynthia Ann, wife of Thomas RAMER; Tabitha, wife of James PRATHER; Mary E., wife of Dr. J. L. LAWSON; Fannie, wife of Jones REEDER; Sallie, wife of Thomas BAKER; John H., William and Mac. Mr. HAMM has lived in the vicinity and on his farm since 1865. He at one time owned 800 acres of land, but has divided a portion of it among his children; still has 400 of valuable acres under high cultivation, well improved, three miles east of Ramer. He is a man of great industry, and well informed, possessed of fine business capacity. He takes a deep interest in the advancement of education, has always a helping hand for charitable and religious institutions. At about the time of his majority was elected magistrate, held the office for twenty-five years, was tax collector about twenty-seven years, and in 1880 was census taker. He is a Democrat and has always been. The first presidential vote he cast was for James K. POLK, in 1844. He has been a member of the Masonic fraternity thirty-five years, taking the Royal Arch degree. Both he and his wife are devoted members of the Cumberland Presbyterian Church. Source: Goodspeed Biographies McNairy County Tennessee. The Bible for Phillip Jasper Huggins and Ella English Huggins provides much information on the family members. James Montgomery Huggins, the eldest son of Phillip Jasper and Jane Morris Huggins was born 27 May 1801 in Buncombe County, North Carolina and died 3 Sep 1892 in Gravel Hill, McNairy County, Tennessee. 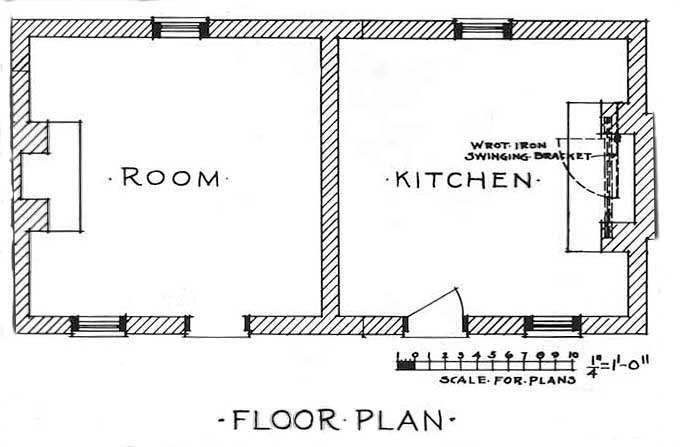 The Huggins families lived in Gravel Hill, Michie and Guys communities. James Huggins married 18 Feb 1823 to Elizabeth Robertson or Robison in Lauderdale County, Alabama. Their children were: John Morris Huggins, Leroy M. Huggins of Corinth, Mississippi; Joseph Huggins, John Simpson Huggins of McNairy County, Tennessee; John L. Huggins of Corinth, Mississippi: Phillip Huggins, and Elizabeth Cates of Kossuth, Mississippi, wife of R.C. Cates, son of Pleasant Cates formerly of the county seat of Purdy. 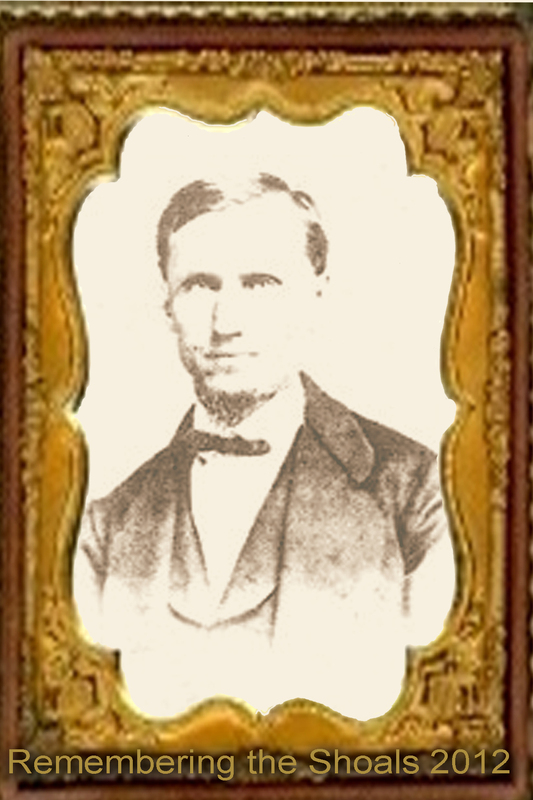 John Morris Huggins was born December 1832 in Lauderdale County, Alabama and died 23 Sep 1890 in Mulberry, Franklin County, Arkansas. The Huggins family went to Arkansas before the 1840s and They seem to have ties to other families: Goodnight family in Van Buren; Reeves, Null, English, Weaver families who came from Giles County and McNairy County in Tennessee or Lauderdale County, Alabama. Leroy M. “Lee” Huggins’ father was John Morris Huggins and Caroline Bower Huggins, according to Lee M. Huggins’ death certificate. Both Leroy M. Huggins were evidently called “Lee M.” and their names appear as such in many records. This Leroy M. Huggins’ middle name was Montgomery, like his grandfather James Montgomery Huggins. Daughter Virgie C and her husband Herbert Young are in the household with Elizabeth Huggins in both 1900 and 1910 census. They live on Judson in Corinth; and Elizabeth has seven children living of eight born. Daughter Georgie Inge is in her household on the 1920 census record. In 1920 they reside on Jackson Street in Corinth, Mississippi. Elizabeth Sheffield Huggins is listed as having seven children living of eight born to her on the 1920 census. Son James Ephraim Huggins’ death certificate gave the place of birth for his mother as Colbert County, Alabama. 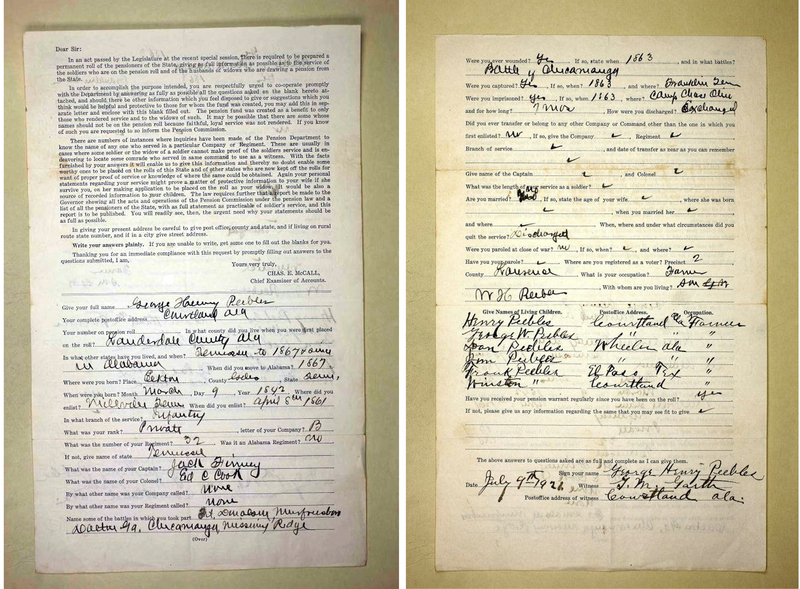 On his WWI Draft Registration the following information is obtained: lives at Rt 2, Rienzi, Mississippi; 45 years old, farms for self; nearest relative is wife Maggie Huggins; medium build and height, blue eyes, light hair, not bald. On his death record the following information is obtained: cause of death is Sarcoma of right mandible/metastares and malnutrition, wife was Margaret Frances Huggins who had died 24 Sep 1942. He is buried at New Hope Cemetery, his parents were Lee and Elizabeth Huggins. There is enough discrepancy in records to cast a big shadow on relations of the Huggins’ families. 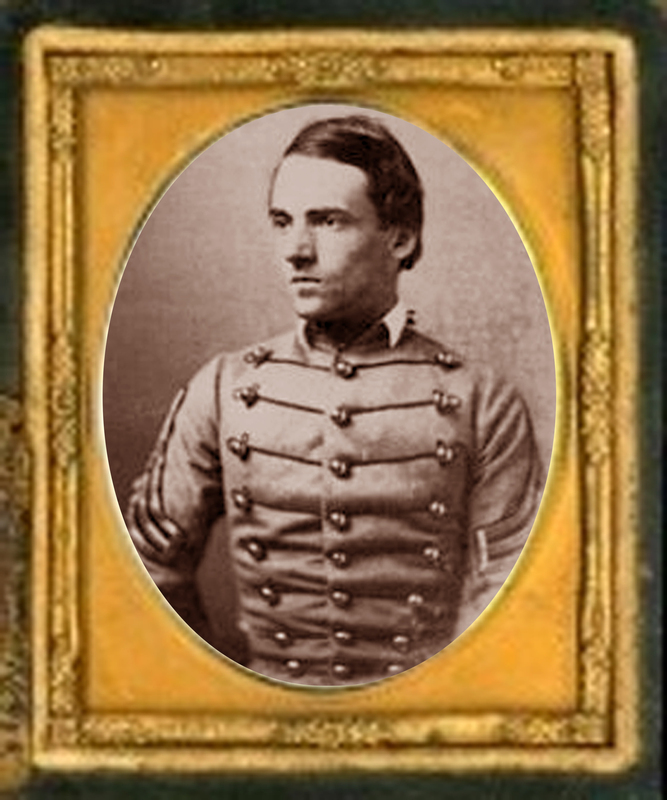 Some records show that Meredith Stanford Huggins was the son of William Franklin Huggins, who in turn is the son of John Morris Huggins. There should be enough valid information that family of the Huggins’ lines might be able to sort it out, but we only go on what information seems relevant for this treatise. Leroy Montgomery Huggins son, Merideth S “Minty” Huggins was born 15 Sep 1854 in Guys for Gravel Hill, McNairy County, Tennessee and died 27 Feb 1929 in Guys, Mcnairy County, Tennessee. Merideth S “Minty” Huggins married Sarah Caroline Farris Faires 1853 – 1927. Their known children are: Louella Huggins South 1875 – 1971, Elenander Huggins 1877 – 1965, Elvin Huggins Mills 1878 – 1946, Julius Huggins born 1880, Elmer Huggins 1881 – 1942, Mamie Huggins born 1883, Robert L Huggins 1885 – 1968, Willie Huggins born 1888, Lora Bell Huggins 1891 – 1928, Lillie Mae Huggins 1892 – 1936 and Clayton Huggins 1895 – 1967. Merideth S ” Minty Huggins’ daughter’s name is sometimes given as Lara Bell or Lora Bell. She married William Edgar Curtis 1888 – 1942. Their children were: Ulas Curtis born 1910, Rubie Curtis born 1915, Bertha L Curtis born 1917, Maggie Curtis 1919 and Euthel Lee Curtis 1920 – 1985. William Edgar Curtis was born 1 Feb 1888 in Mcnairy County, Tennessee. He died 28 Jun 1942 in Bolivar, Hardeman County, Tennessee. On his World War I Draft Registration on 5 June 1918 the following information is given: his residence is Guys, McNairy County, Tennessee, he is 29 years old, farms for himself, has a wife and three children at dependents, he is medium height and build, he has dark blue eyes and dark hair but is not bald. At age 40, he marries Maggie Luvenia Laughlin in McNairy County, Tennessee on 25 Feb 1928. The record gives the name was W. E. Curtis, so it is presumed that it was William Edgar Curtis; on the 1930 census record for Beat 1 in Alcorn County, Mississippi the children listed match the younger ones of his marriage to Lara Bell Huggins. There are two more children born to William Edgar Curtis by his second wife, Lavenia. They are: Idotha Curtiss born 1928 in McNairy County, Tennessee, and Charlie Curtiss born 1930 likely in Corinth, Alcorn County, Mississippi. Louvenia Laughlin married first to a Gadbury and had a family of children; and married William Edgar Curtis after both had become widowed. William Edgar Curtis’s parents, according to his death record are James “Jim” Curtis and Josephine “Josie” Jones. The scant information on the parents are this: Jim Curtis was born circa 1865 in Alabama. There is a Josie Jones on the 1880 United States Federal Census record for Lauderdale County, Alabama. It gives her birth year as 1868, born in Alabama; that she is white and single, her mother and father were born in Alabama; and her occupation is a nurse. She is in the household of John A and Sarah A Potts and their three small children. Nothing further is found on Jim and Josie Jones Curtis. 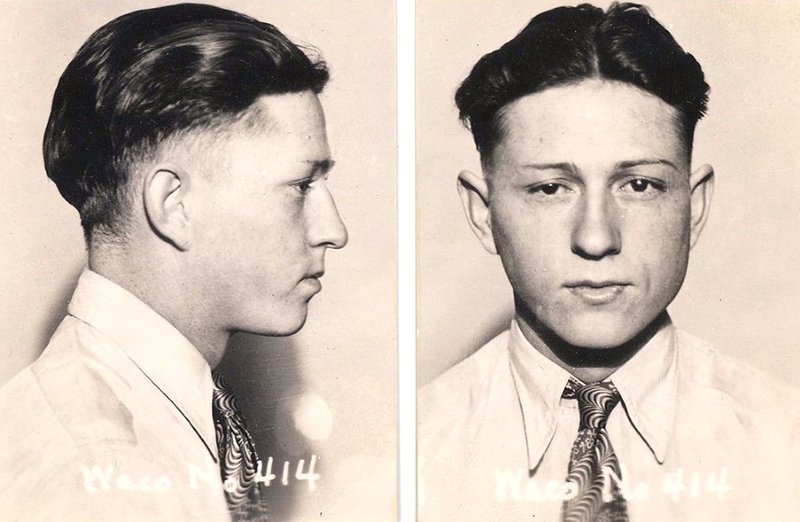 William Edgar Curtis may have had at least one sibling, that of George Washington Curtis 1886 – 1939. George W Curtis was born in Alabama and died in Memphis, Shelby County, Tennessee. He appears to have had two wives, both marriages officiated in Alabama. One wife was Hattie B. and they had a child named Catherine T Curtis born circa 1918. Minnie P or F Plaxco and George W Curtis married 26 Jun 1902 in Franklin County, Alabama. They had at least one child, Ullman P Curtis born 1903 and died 1904. In 1910 George W Curtis was in Sebastian, Arkansas. By 1920 he was in Sheffield, Colbert County, Alabama and was a broom maker and peddler. By 1930 he lived in Memphis, Shelby County, Tennessee and his occupation was Furniture repair man; was widowed; married at age 25; and lives alone. He died 20 Oct 1939 ; he was age 53, divorced, cause of death an accidental fall from a two-story building onto the driveway. William Edgar Curtis and Lara Bell Huggins Curtis’ son, Euthel Lee Curtis was born 16 Apr 1920 likely in Corinth, Alcorn County, Mississippi. He died 28 Oct 1985 in Sheffield, Colbert County, Alabama. He married Dorothy Aileen “Dot” Mobley born 16 Dec 1923 in Alabama. She died 1 Dec 1990 in Colbert County, Alabama. Her parents were J Sid Mobley (born 1890) and May Mobley (born 1899). Euthel Lee and Dot Mobley Curtis’ son, David L Curtis was born 1942 in Sheffield, Colbert County, Alabama. 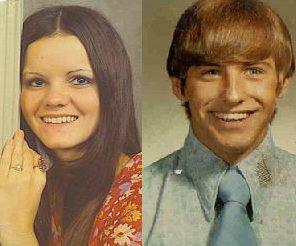 David Curtis married Joan Thompson and are the parents of: David Shawn Jones Curtis, Mary Allison Curtis Nichols, Victoria Leigh Curtis Davis, Beverly Joan Curtis Smith Foust, and Elizabeth Aileen Curtis Shelton. An ancestor of Dr. William Edward Curtis was Samuel R Curtis of Marengo County, Alabama. Samuel Curtis, during the revolution was a Regulator from Anson County, North Carolina; he was a Patriot and furnished supplies to the army. 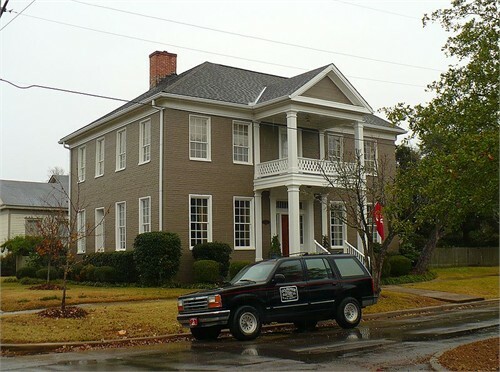 The Samuel R Curtis House, also known as the Howze-Culpepper House, is a historic house in Demopolis, Alabama, United States. 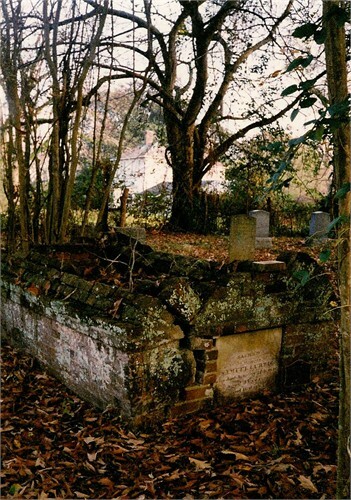 It is a brick structure that was built in 1840 by Samuel Curtis, a Revolutionary War veteran who was born in Queen Anne’s County, Maryland in 1751 and died in Marengo County, Alabama in 1846. 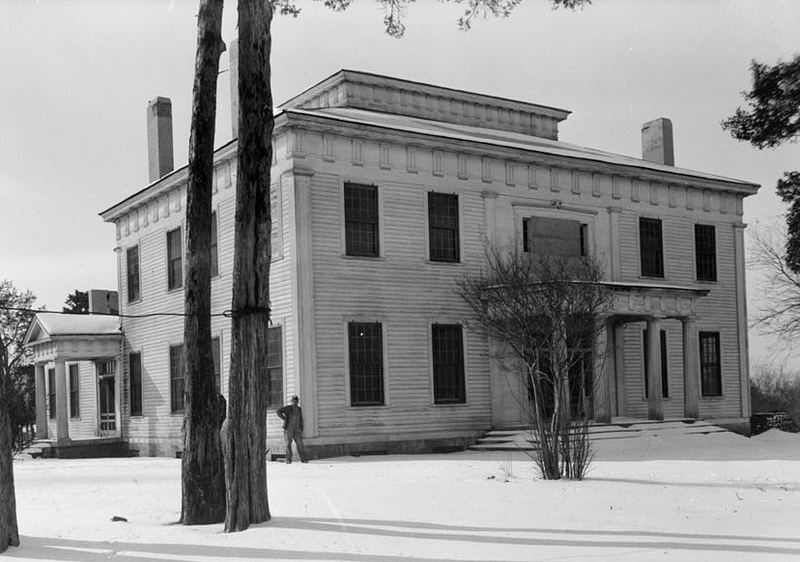 The house was built in the Federal style, with the later addition of a Greek Revival influenced portico. It was added to the National Register of Historic Places on 11 April 1977.
are relics of the past, and not too many of them even exist anymore. 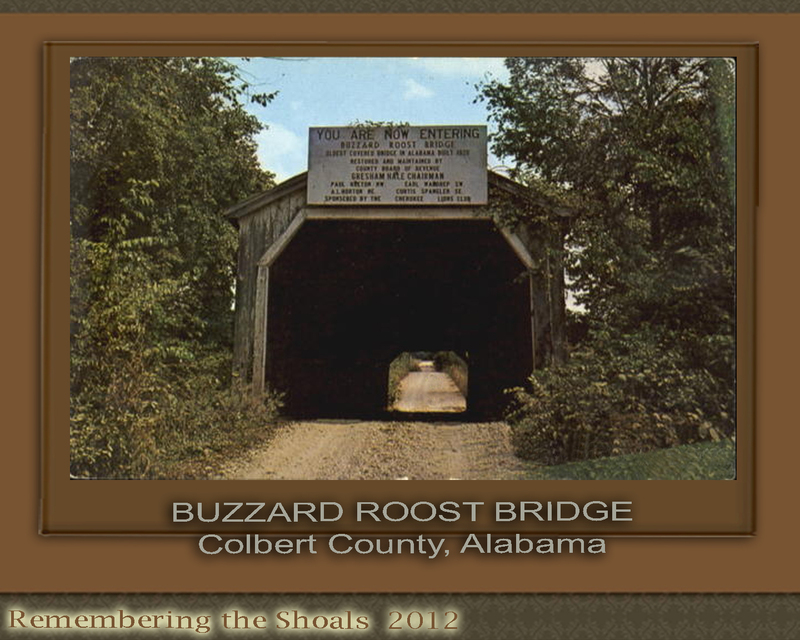 A Shoals area resident has drawn renderings of Buzzard Roost Covered Bridge in rural Colbert County. They were very admirable. Here is a photo of Buzzard Roost Covered Bridge. Are there other covered bridges in the area? state of Alabama in 1818. They lived inpresent day Lauderdale, Franklin and Colbert County. All spelling of names are original.